New to Paris Junior College and feeling a bit lost? 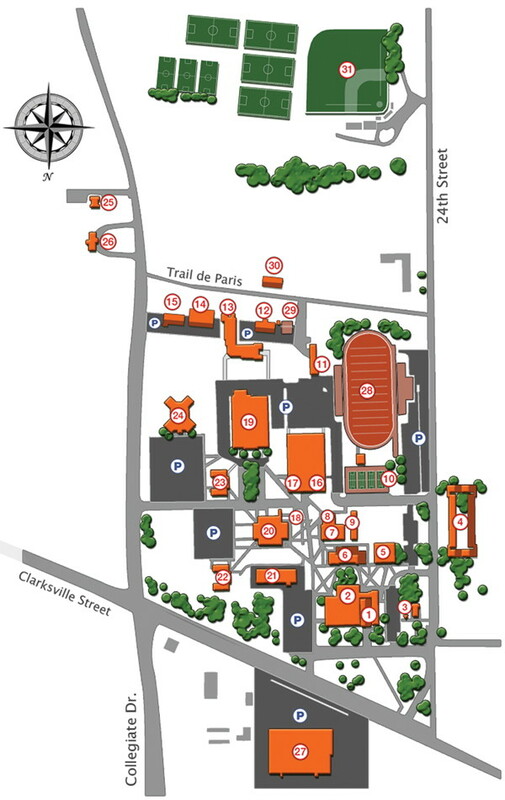 This map of PJC's Paris campus, and the accompanying legend, will help newcomer's find their way around. New to Paris? New to Texas? Get directions to PJC's Paris campus. Click here to download a PDF version of this map, suitable for printing.